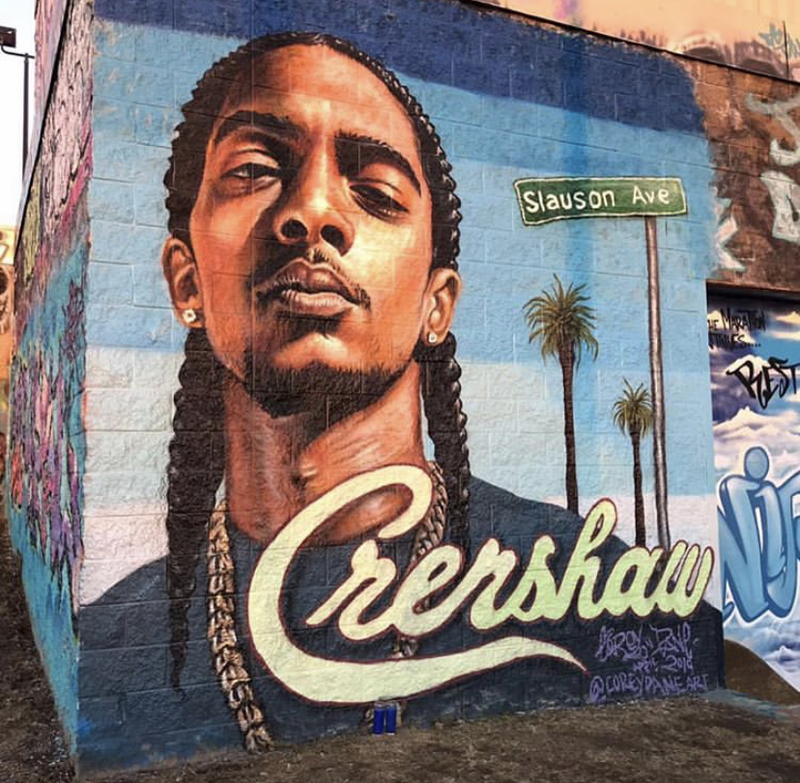 As we mourn the tragic loss of South Central’s hero, let us continue the marathon of black excellence that Nipsey Hussle would have wanted from us. #BLACKBOOKLA loves ya’ll! We shall get through this together. It’s been a time of darkness ya’ll. We have lost a legend. If you’re looking for a community space to reflect on the magnificent life which was Nipsey Hussle, this is the perfect opportunity. Meet up for a candle light vigil in remembrance and celebration of Ermias Asghedom, our Nipsey Hussle. Aroma Flow is a gentle, trauma-informed yoga class created for all yoga levels and all levels of mental and emotional wellness. With the inclusion of essential oils, this class focuses on connecting to breath and the relief of mental and physical stress. With the trauma we’ve been experiencing these past few days….seems like this class is necessary fam. Come celebrate our South Central hero as our favorite hip hop and R&B party plays Nipsey Hussle all night long. Come network and socialize with the finest professionals, entrepreneurs, and influencers in LA in a comfortable and vibrant environment. Networking and happy hours from 5 PM to 10 PM. Lituation from 10 PM to 2 AM: a mix of Hip Hop, R&B, Reggae, Reggaeton Afrobeats, Salsa, Merengue and Cumbia. Peaches And Cream returns Friday, April 5th! 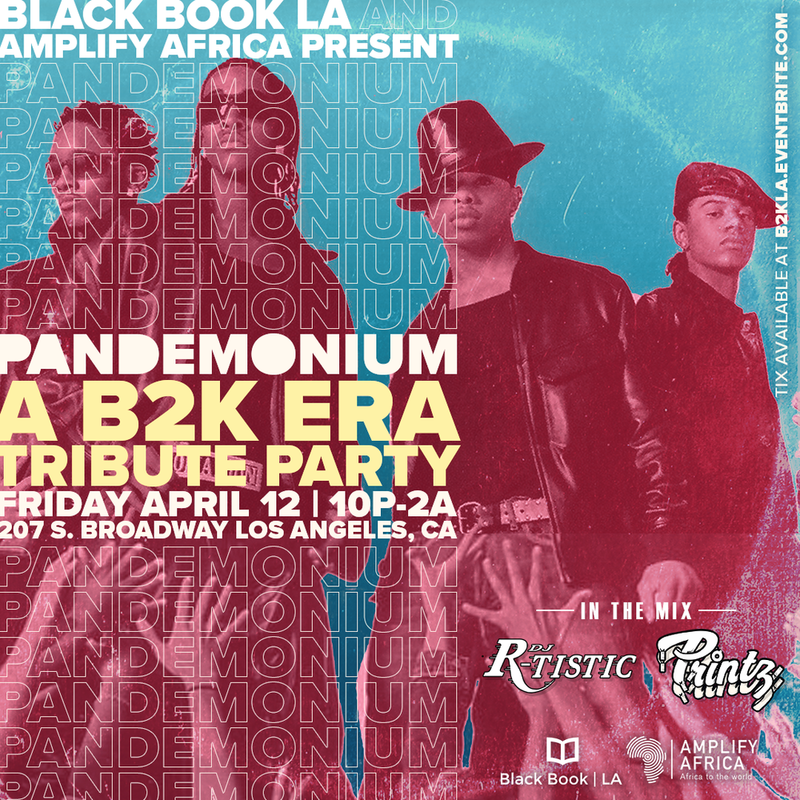 Get ready to dance and sing to all your favorite R&B And Hip Hop Throwbacks. Our favorite Karaoke crew is back ya’ll. Tickets leave quickly so don’t wait too long to cop yours. 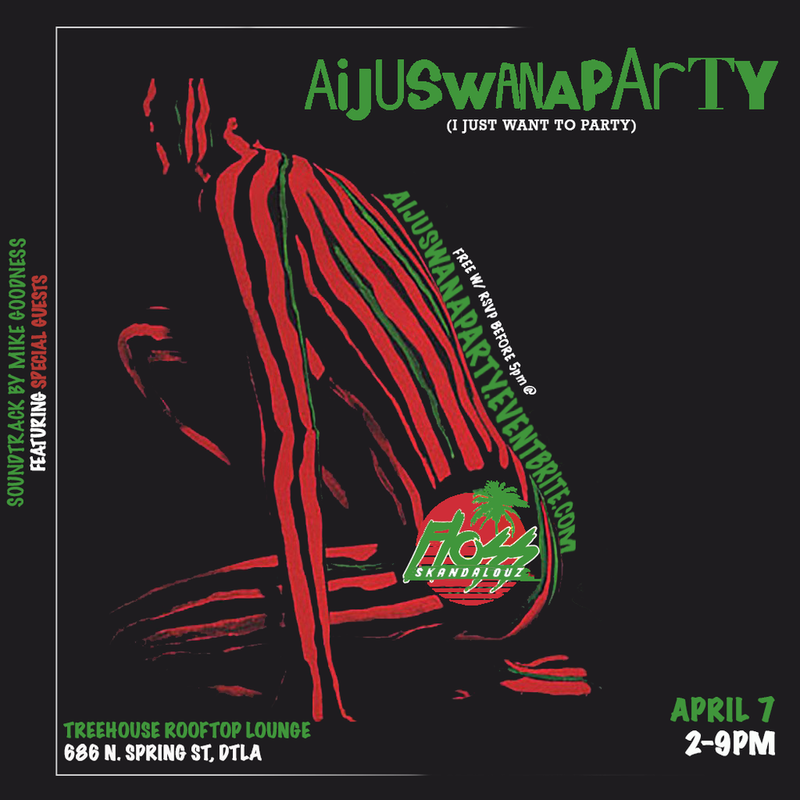 Aijuswanaparty is back! and just in time for the kickoff to spring day party season. Eat, dance, drink and vibe out in one of DTLA's premier indoor/outdoor venues, to the soundtrack by Mike Goodness ft. special guests. Good music. Good vibes. Good food. Good people. Now more than ever, we appreciate these community vibes! The Best Open Mic + Jam Session in the city is still going strong. A time to celebrate our South Central hero. We love you Neighborhood Nip. Come get down at On The Floor! with Sounds by Tendaji Lathan, Orator, R-Tistic, QwessCoast, and Val the Vandle at Resident in DTLA! Don't miss out! Get your tickets today. This event is guaranteed to sell out! Can’t make it to Coachella Valley for the weekend ? No problem. Come catch a vibe at Chill LA. Hosted by Ladies Who Hustle and Two Girls and a Drink. Sip organic cocktails, shop local vendors while dancing to live music and our lit DJ Ole Smitty. 4 drinks included in your ticket plus unlimited access to the party! Older PostThe Weekend Turn Up for Our Kinkfolk!